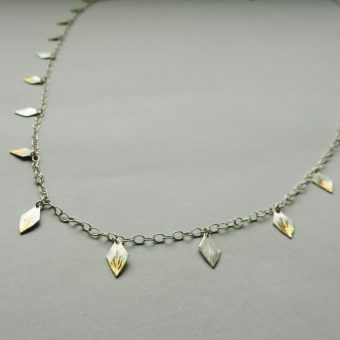 An elegant and unique necklace perfect for any occasion. 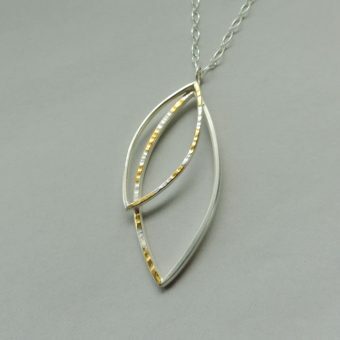 Made of sterling silver, 24k gold and 14k gold. 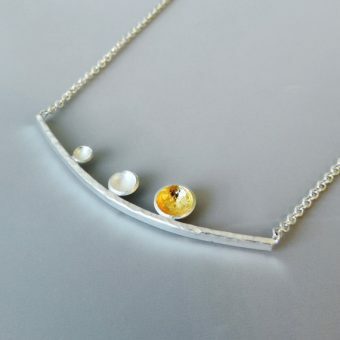 Hangs from a 26″ chain. A fun and unique necklace that will go with any outfit. 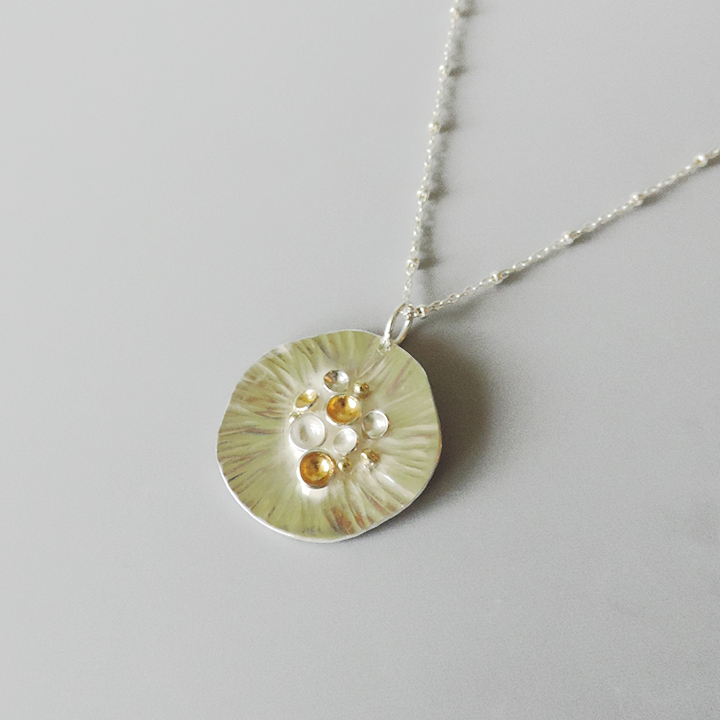 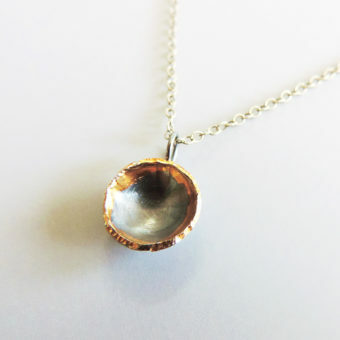 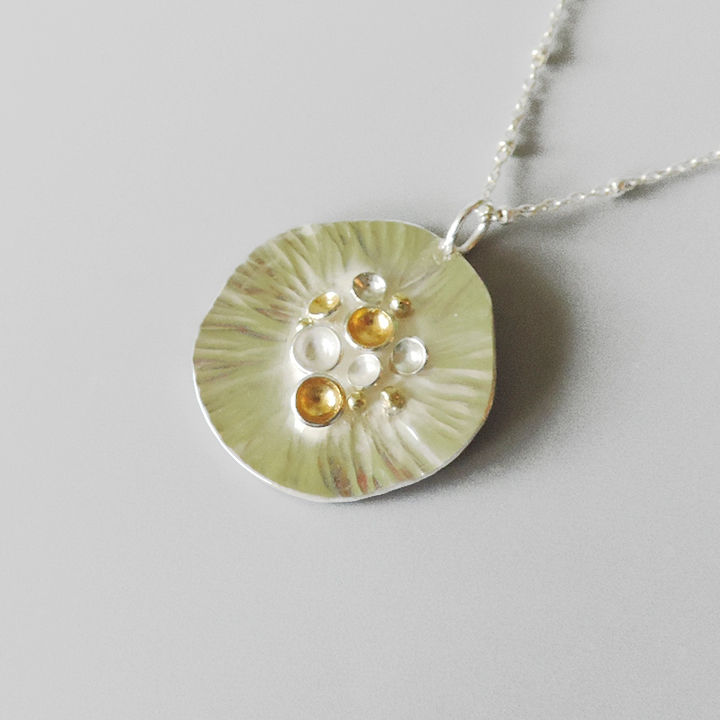 A sterling silver pendant that has been hammered with small domes finished with 24k gold and 14k gold and hangs from a sterling silver chain.